This year MistyWest was pleased to send a team of seven Westies to our third Consumer Electronics Show in Las Vegas, Nevada. While the harsh desert climate offered up torrential rain, flash floods and power outages–our team successfully battled trials of a different variety: formidable crowds, sensory overload and the Nerd Flu. 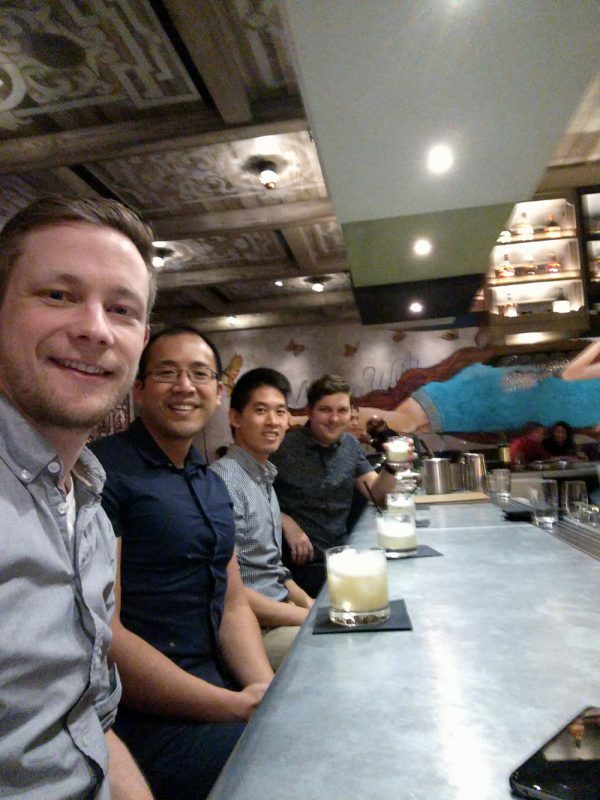 While the #CESsomale hashtag trended and the Consumer Technology Association were shaded for the lack of female representation in their keynote slate, our team (43% comprised of kickass women) checked out the exhibits, attended panels and co-hosted a special gathering for a few friends at Nobu Restaurant. Thanks to the teams at MIT Media Lab, Tzoa and ASTRSK PR who were instrumental in executing what proved to be a very popular event! Among the tradeshow highlights reported by our team this year were advances made in the textiles/wearables space, with conductive threads and fabrics making big strides. Westie engineer Phil Tsao liked StretchSense – inventors of a new stretchable sensor with applications ranging from Smart Garments to healthcare to VR. Even with relatively few new cameras on show, this year’s tradeshow hinted at big things to come in the camera & imaging space. Westie Kevin Robbie was impressed by a new sub-one lux zero light camera, produced using the AR0331, a 3 MP 1/3″ CMOS Image Sensor by On Semicoductor. It captures amazingly detailed and beautiful color in next to no light. On Semi also debuted the AR0430, an imaging sensor which is able to extract detailed depth data out of any RGB camera device. 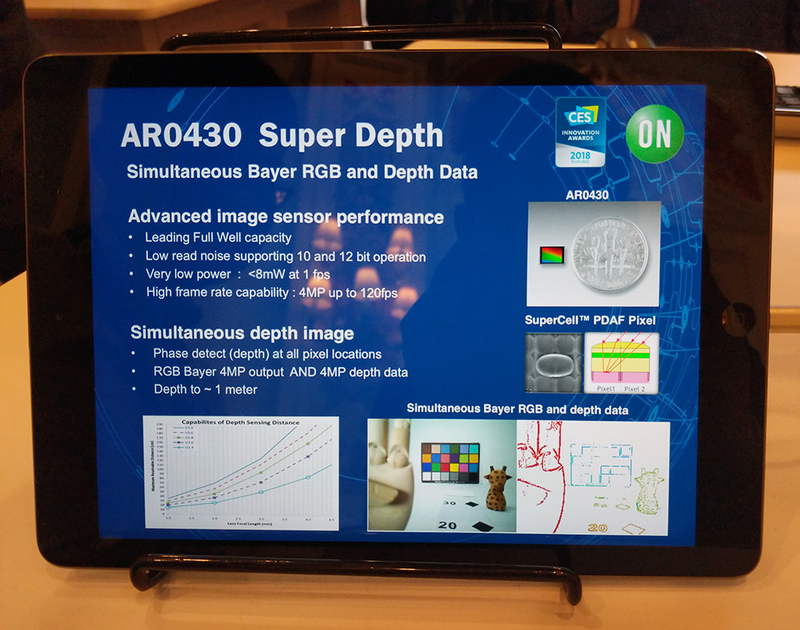 According to On Semi, AR0430 will enable “customers to capture a color image and simultaneous depth map from a single device”. Our team was impressed by this product, which went on to win a CES 2018 Innovation Award. 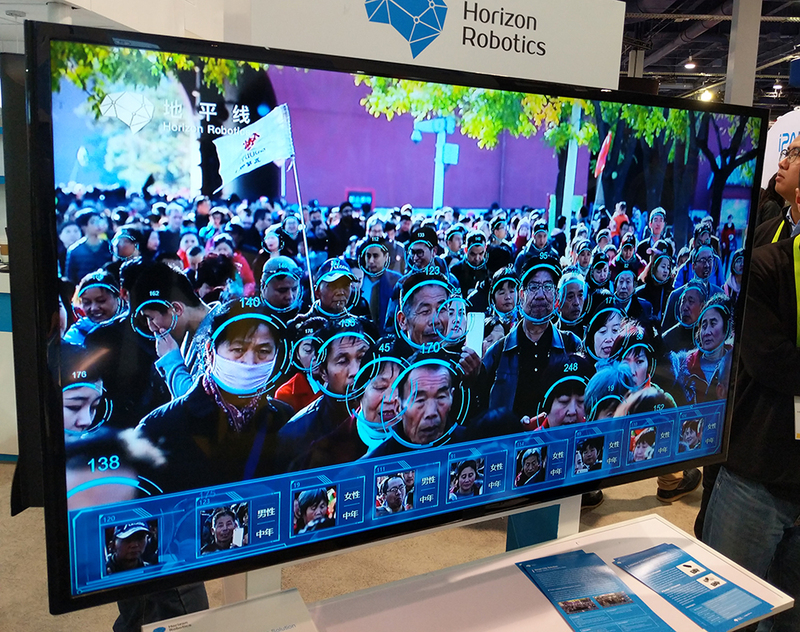 Visitors to the trade show were greeted by Horizon Robotics’s new embedded AI face tracking tech, utilizing the Sunrise 1.0 processor, which allows for the real-time recognition and tracking of up to 200 faces, all at extremely high speed & density. Potential uses include AV, smart city and smart business applications. 5G was touted as the next big wave in network connectivity – allowing data transfer so fast (and soon, so affordable) that streaming VR through 5G direct-to-headset could be the new normal. If the promise holds true, 5G could make WIFI obsolete by the 2020’s! 5G’s lower latency also potentially resolves some of the safety concerns surrounding autonomous vehicle networks. 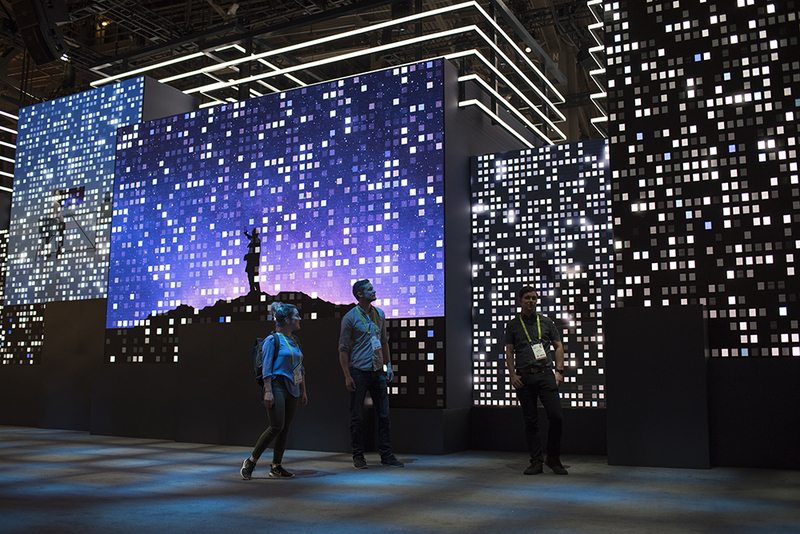 The main takeaway from CES for MW was reaffirming the value in attending events that put us in front of the newest and most exciting hardware technologies. 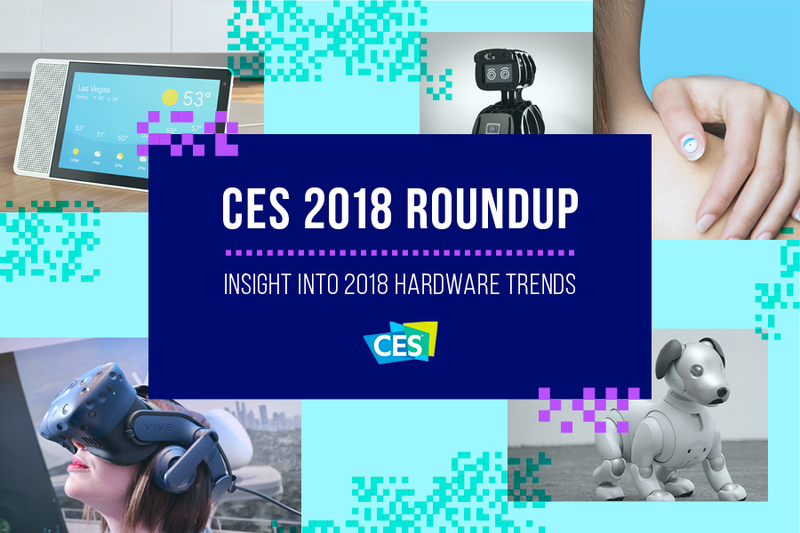 We aim to always be learning, and CES enabled us to do just that, as well as connecting with interesting and relevant projects that, while exciting to us — often don’t get mentioned in the tech news highlights. In addition to sourcing for projects, CES connected us with inspirational peers across a spectrum of different specialties, experience and skill sets. We can’t recommend it enough! See you next year at CES 2019! PS: Thanks to everyone who attended our post-CES Recap Hardware Meetup on January 18th at MistyWest HQ. If you’re interested in connecting with the MW crew in person, check out our Vancouver Hardware Meetup for more details. Our next theme is Gender Inclusive Design, happening March 22 in Vancouver.